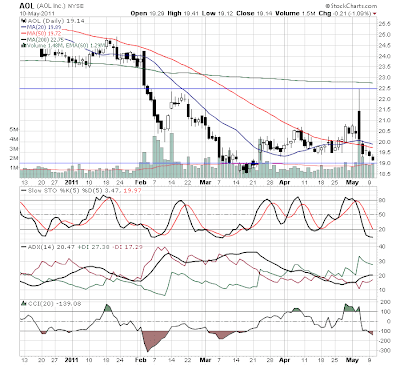 AOL is looking interesting again. It has become very oversold, while (not so obviously) maintaining a sense of bullishness (via the DMI). And fundamentally, the company continues to perform well into its transition. 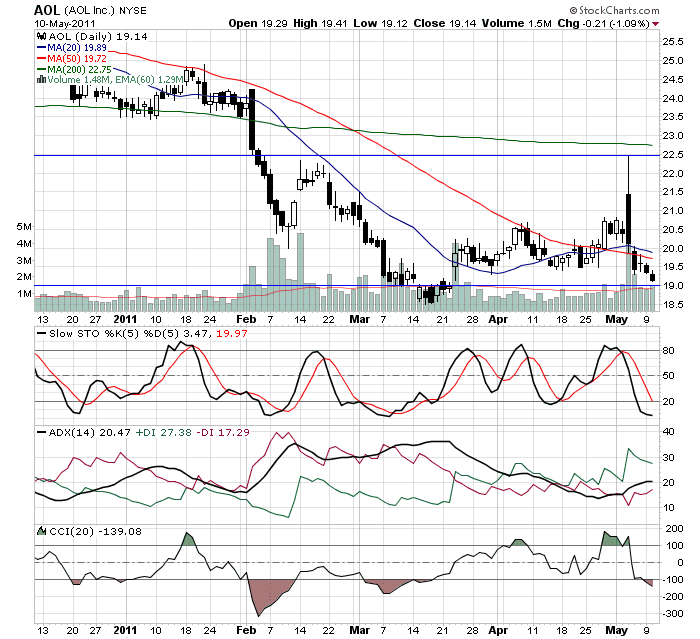 I am looking to enter near 19.00 tomorrow, for a bounce off of its oversold condition. update 05/11/2011 - I entered AOL.